Venice may be known as the city of water, but it's actually built on wood. Originally a chain of 70 or so marshy islands in a shallow lagoon, Venice's early inhabitants built on the few pieces of solid ground. As the population grew, new arrivals had to create their own solid foundations. By about 1,000 AD, they were driving solid oak logs -- 15 feet or so long with a pointy end -- into the soft mud and then building on top. 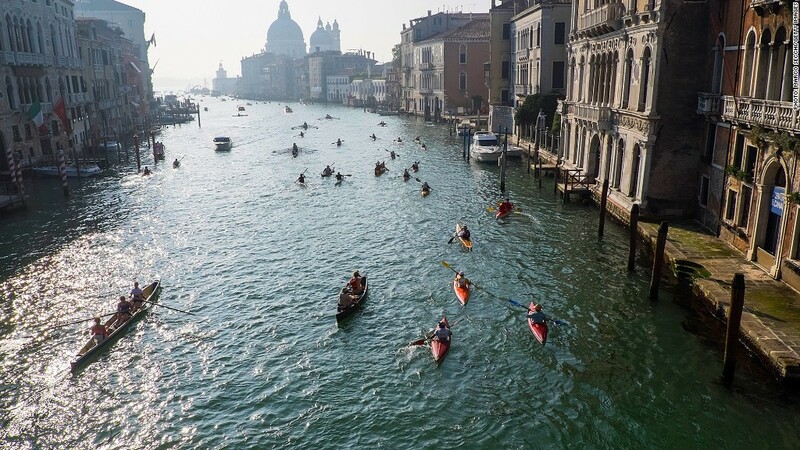 "The system was brilliant," said Deborah Howard, a former professor of architectural history at Cambridge who's written several books on Venice. "As they grew, more and more land was reclaimed on each island, until they all joined up." Howard estimates that maybe 80% of the city now rests on these logs, which are protected from rot by the saltwater, becoming petrified and nearly as hard as stone. What endured was one of the world's greatest sea-faring, trading and cultural centers. Quiz: What innovative city is right for you?